Our facility has a specialized team that handles problems with feeding. 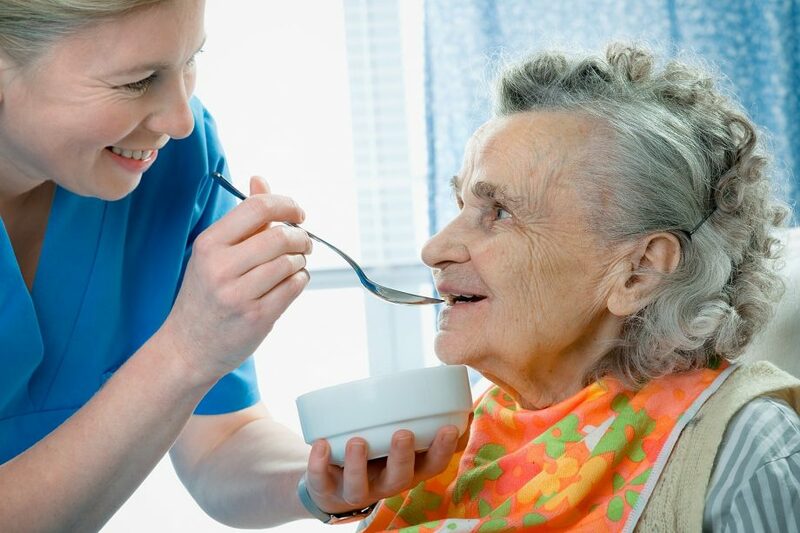 Patients that present difficulties with swallowing, or who are in danger of food entering the respiratory tract are assessed by the nursing staff, the facility’s doctor and, if required, by the speech therapist. A specialist gastroenterologist informs the family about the options available for dealing with the problem, and, in the event that a gastric feeding tube is required, the patient is transferred by ambulance to a clinic for a few hours. Following their return to the facility, feeding can begin within a few hours via the gastric tube. Our staff can respond to any problem that may arise with the feeding tubes around the clock. Dieticians that we collaborate with assist in the selection of the correct feeding formulas to be given to patients, depending on conditions they may have. What are the advantages of percutaneous gastric feeding (PEG) tubes? PEG tubes ensure the nutrition and hydration of the patient is provided irrespective of the patient’s ability to swallow. As such, the daily needs of the patient can be met with relative safety. Studies have shown that the insertion of a PEG tube is linked to better rates of survival and quality of life in certain patient groups. In instances where the patient still maintains some degree of safe swallowing, they can receive a portion of their food via the mouth. If a patient’s ability to swallow improves and conditions allow, the gastric feeding tube may be removed. Read more about the Care Services we can offer your family through our facility.